← How about this kind of solar plant in Australia? Why not? Victoria has a world-class solar resource. But the actions of previous state govts has failed to attract investment in this exciting new technology. Big solar projects are coming online in New South Wales, the ACT, and Queensland, but not yet in Victoria. It’s time for the Andrews govt (and parliament) to develop a strategy to build big solar, or else we risk being left behind. 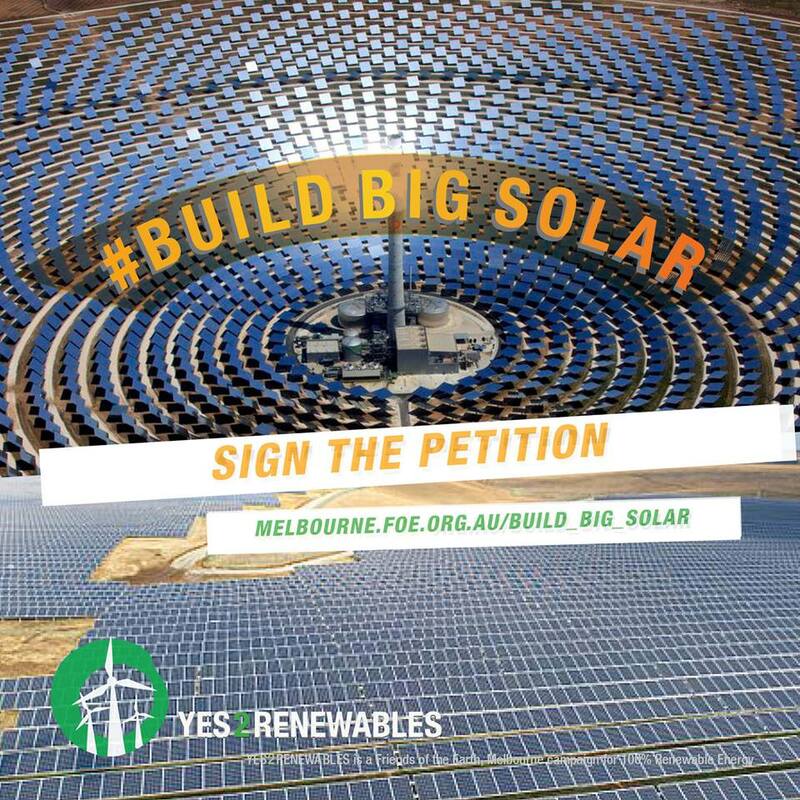 This entry was posted in Events local and tagged big solar, CST, renewable, Victoria, VRET. Bookmark the permalink.